Posted on June 13, 2012	by Derek "Gamer Crash"
With E3 over and a week to let everything I’ve seen sink in, I figured it’d be only fitting to point out some games that really impressed me this year. Don’t think of this as a “Best Of” list. While I was impressed and am excited for a bunch of games, the ones below really stood out to me. I just wanted to bring a bit more exposure to them. Here’s my list, but let me know yours in the comments. I’ve never really been interested in Tomb Raider games in the past but I’ve been waiting for more news ever since this reboot was first announced last year by Crystal Dynamics. With the footage they brought with them this year to the show, I was really blown away. 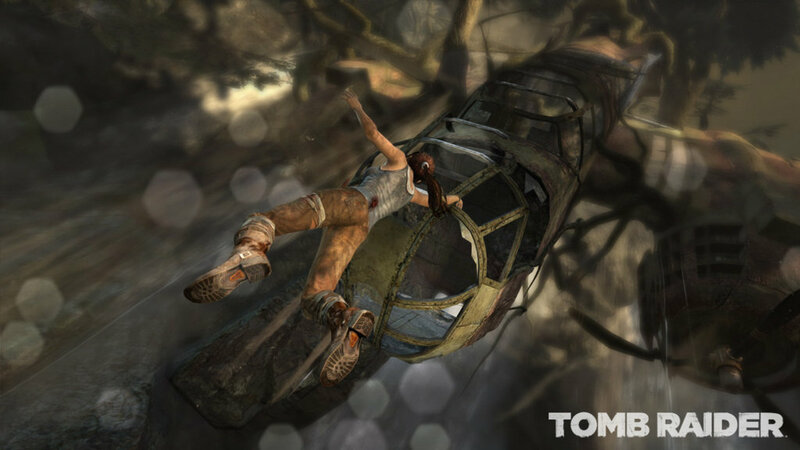 Tomb Raider has a real Uncharted vibe while managing to keep a very distinct feel of it’s own. Unlike the everyman hero of Nathan Drake, Lara Croft is out on her own in an unknown location without many resources. The game’s tone is more of desperation and survival, creating a tension that will most likely stay with you as you play through the game. It’s looking fantastic so far and I can’t wait to see even more. A game compared to the likes of BioShock and Thief, with the visuals from a Steampunk inspired city in the Victorian Era? Yup, definitely caught my interest and thankfully the gameplay Arkane Studios showed off at the show did not disappoint one bit. In addition to some interesting weapons, you’ll also be able to have your pick of special powers which range from blink teleportation to possession, to freezing time. Add in the fact that you can tackle objectives in many different ways, and you have a formula for something very special. I’m very much looking forward to this one. To be honest, I didn’t really know what to expect from 343 Industries. An unproven company taking the reigns from a wildly popular studio (Bungie) and the flagship franchise on the Xbox left a lot of questions. After seeing the game run finally, I think it’s safe to say that 343 managed to silence all doubts out there. The game looks visually stunning (especially when compared to previous entries) while staying true to core gameplay concepts. There’s a ton of interesting ideas at work here, and I think the future of Halo is in very safe hands. This one was a total surprise as Ubisoft unveiled this one at the very end of their press conference. I was blown away by how incredible the game looked and couldn’t believe this would be on current gen systems. The animations were so fluid, the lighting was unlike anything I’ve seen before in games, and the visuals just popped right off the screen. During a slow motion sequence, you could see the individual rain drops falling as you dispatched an enemy. It seems like you’re some sort of agent who can tap into an internal network which will let you hack items like cell phones, street lights, and other computer controlled devices as you walk around an open Chicago landscape. It’s a very interesting concept and I can’t wait to see more on it. I mean, honestly, what else really needs to be said. Ubisoft Montreal is blowing the other games in the franchise with this one. We were finally treated to live gameplay and it did not disappoint. We saw Connor hunting animals in the frontier, completing side quests in frontier towns, infiltrating enemy controlled forts, and using distractions such as blowing up gunpowder barrels to sneak by the chaos to his target. The graphics and animations are a major step up from anything else previously and it shows here. Oh, I’d also be remiss to forget the surprise naval combat as well. With the engine pumping out a dynamic wave system and multiple cannon shots to select, the naval warfare component looks like another fantastic addition. Finally. We’ve been teased about this game for so long, that I don’t think anyone really knew what to expect in terms of gameplay. Naughty Dog finally showed off some actual gameplay and if you were thinking an post-apocalyptic Uncharted, you’re dead wrong. Instead, you’re getting a game filled with tension and suspense as you go around trying to stay alive amongst a broken society. The best part? Ellie isn’t completely dependant on you and seems actually intelligent, not getting in your way and helping you in tough situations. The combat is brutal, a bit more realistic and I really enjoyed that the inventory system is actually Joel’s backpack. I’m hoping that this game makes a 2012 release because I want this now. I was honestly hoping Ubisoft Toronto would pull this one out of their hat and they did not disappoint. I’m a sucker for Splinter Cell games and this one looks to take the best parts of Conviction and mix them with more modern style third person gameplay. In addition to leading a new crew at Fourth Echelon, Sam looks to be faster, more fluid, and introduces a new gameplay mechanic called ‘Killing In Motion’. 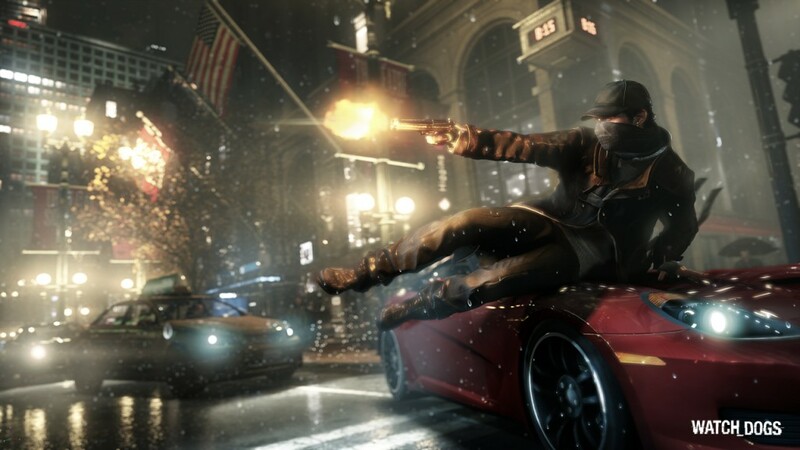 Ubisoft is bringing their motion capture technology to this title as well, so we should be seeing an even more impressive animation system in place. Only downside? Michael Ironside is no longer voicing Sam, so we’ll see how that goes I guess. 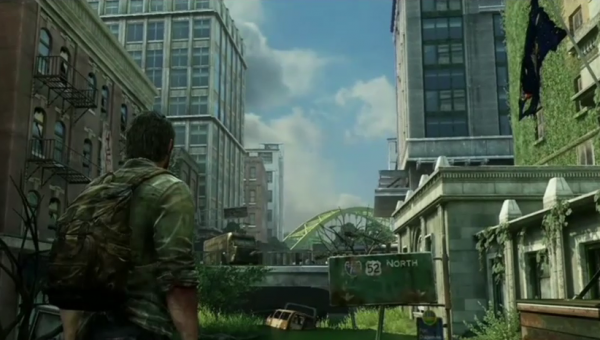 This entry was posted in Opinion and tagged E3 2012, games. Bookmark the permalink.